Days shouldn't live themselves. Here's a guide to making the most of each one. 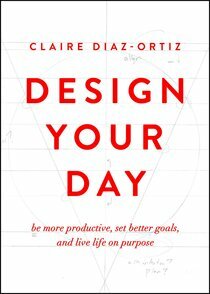 In Design Your Day, productivity guru Claire Diaz-Ortiz introduces the Do Less Method, a productivity and goal-setting model that will help you do more in less time and succeed more often. When it comes to productivity, hard work is half of the battle. The first half-the crucial half-is planning well, and that's what Claire helps you do, from start to finish. From the big-picture to minutia, Claire walks you through every step of setting and achieving smart goals. She gives tips for brainstorming goals, choosing the best ones, and adjusting them to make them realistic. Then she helps you put key strategies in place to reach them, day-by-day, year-by-year. Whether you want to finish a house project, lose weight, or write a book, Design Your Day-by someone who read 150 books as a first-year mom-is an all-in-one guide to crossing off your to-do list. When you take back your time and strategically use it, you will win more often and enjoy life along the way.